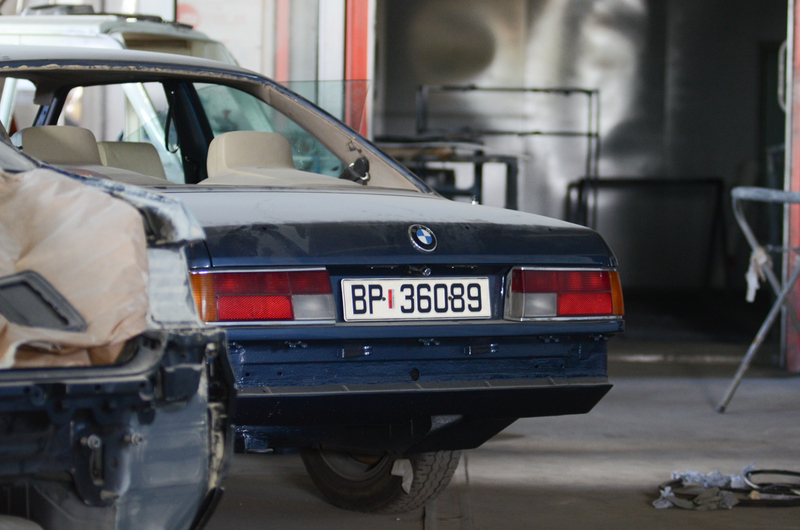 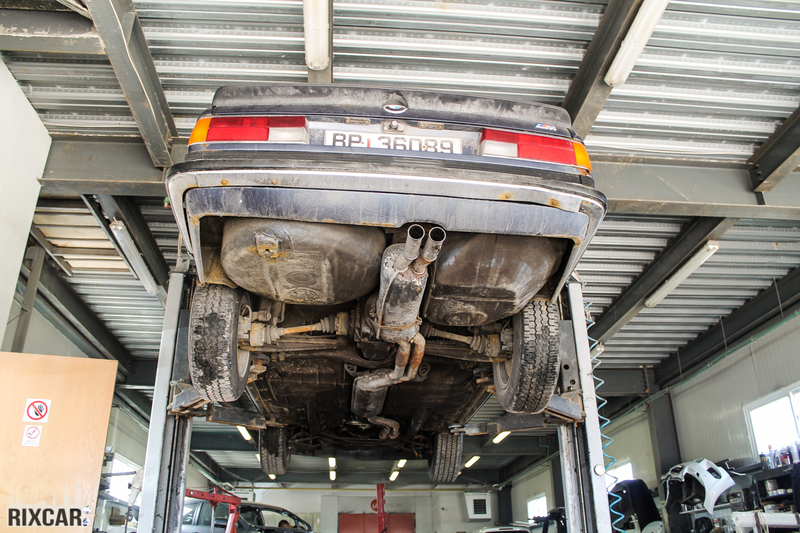 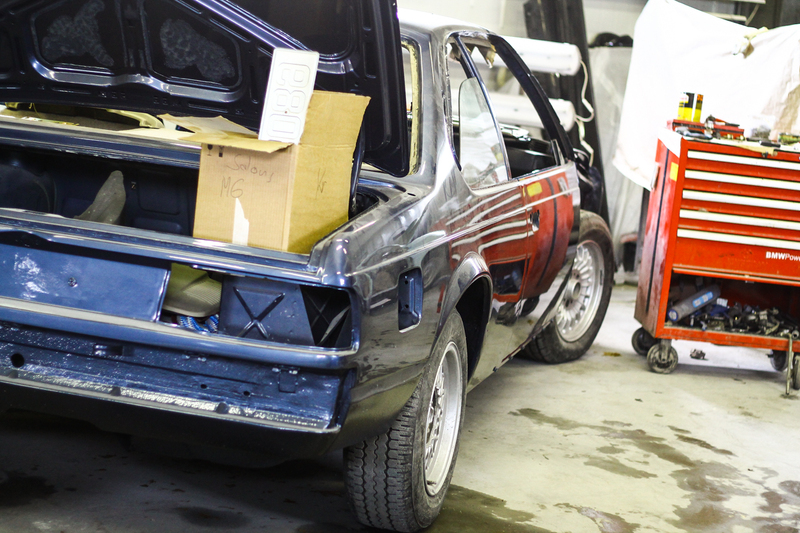 RIXCAR car restoration workshop is located in Riga - the capital of Latvia. 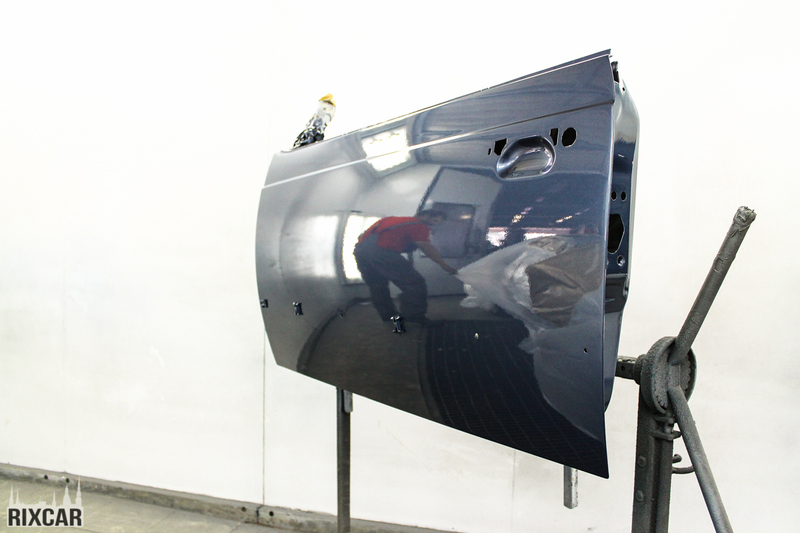 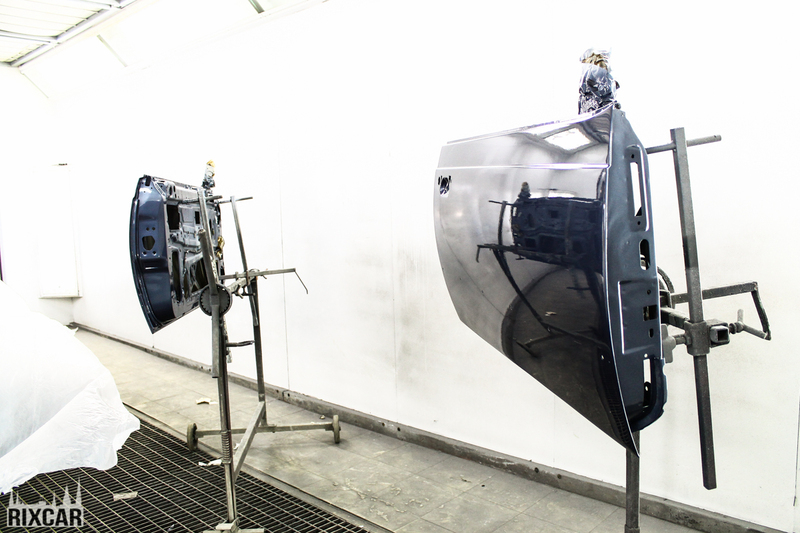 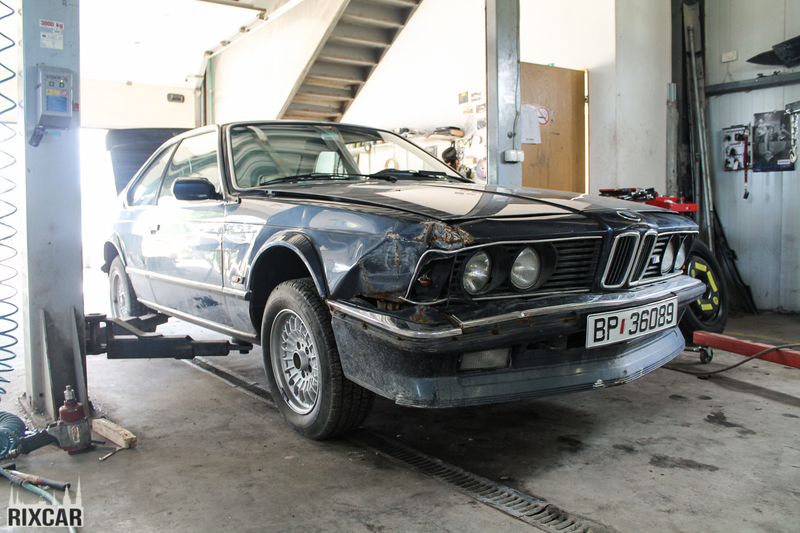 The company has seven year experience in car restoration processes, at the moment there are 14 employees in RIXCAR and each of them is a master in his field. 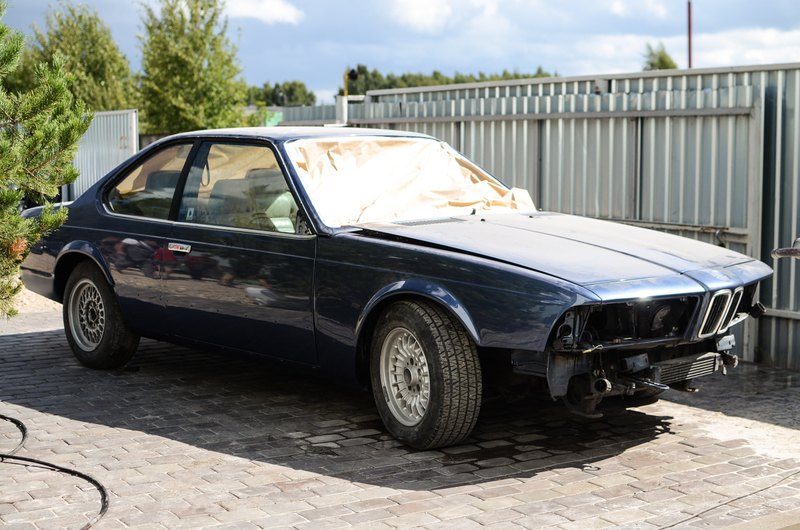 This will be a little bigger poster from us, but it might be quite interesting reading material. 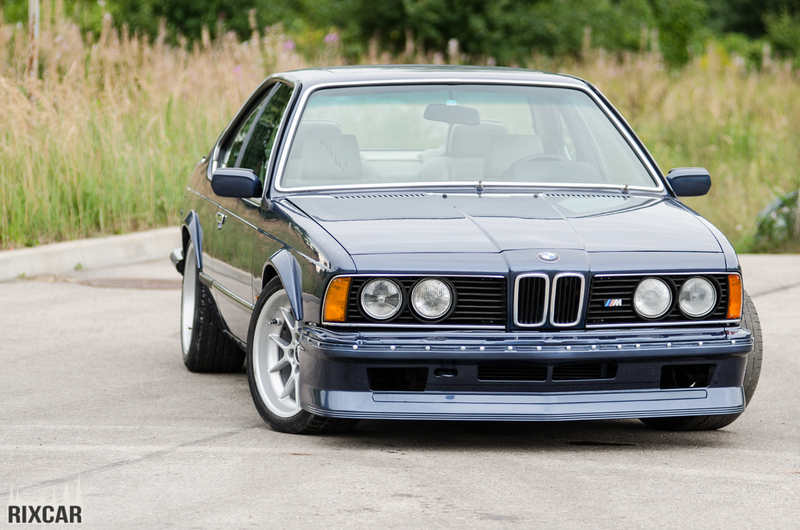 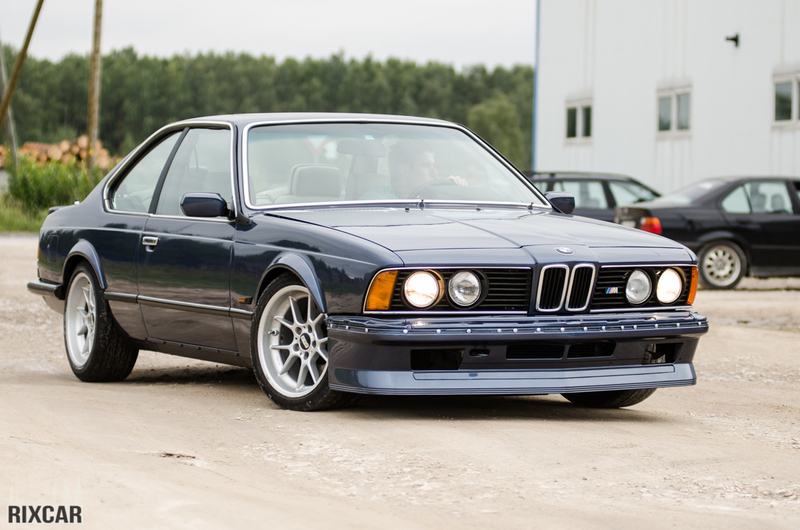 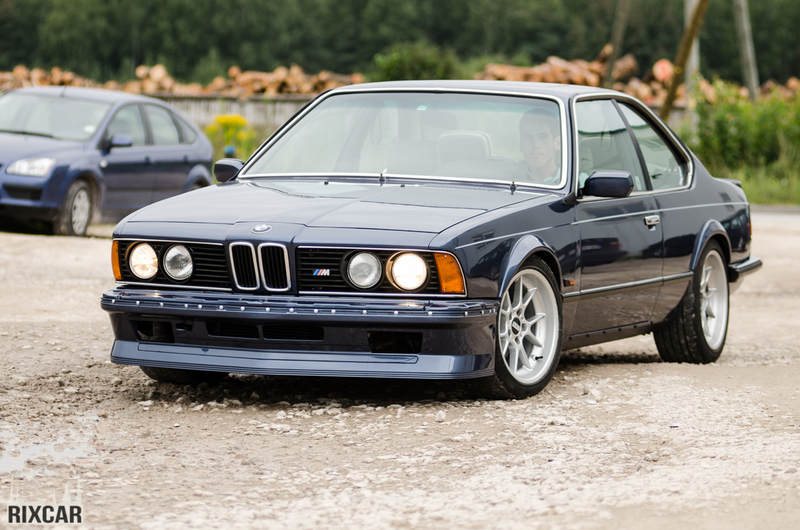 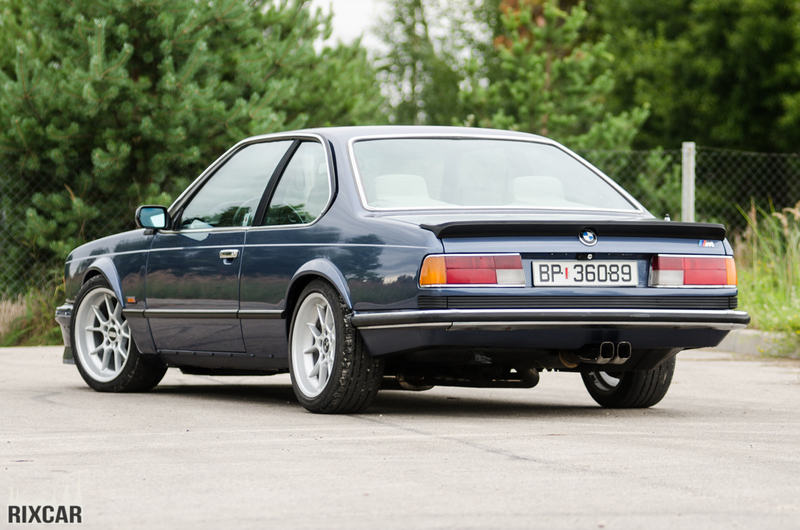 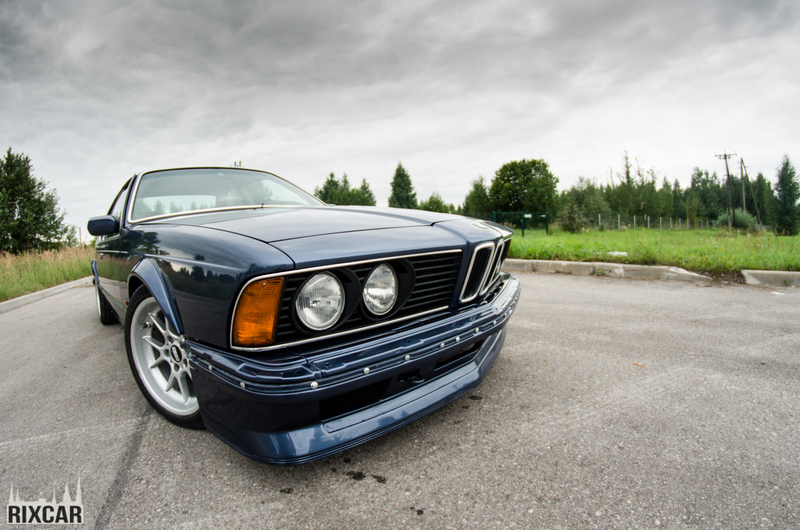 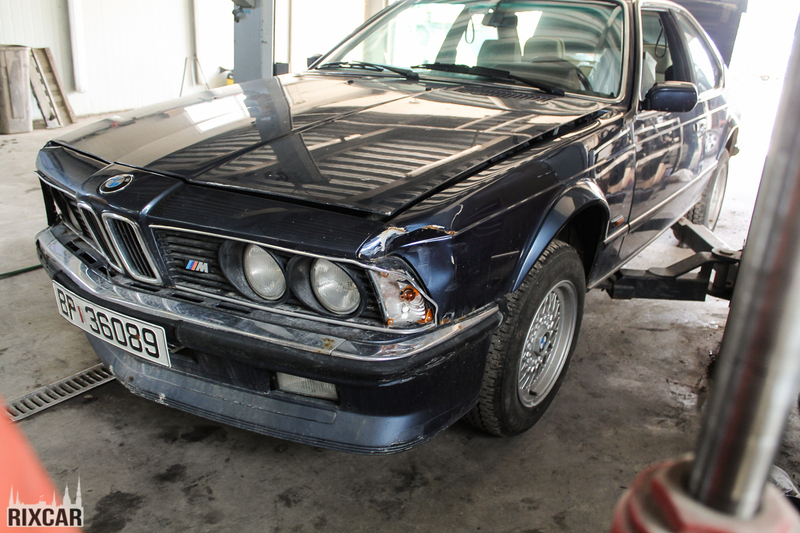 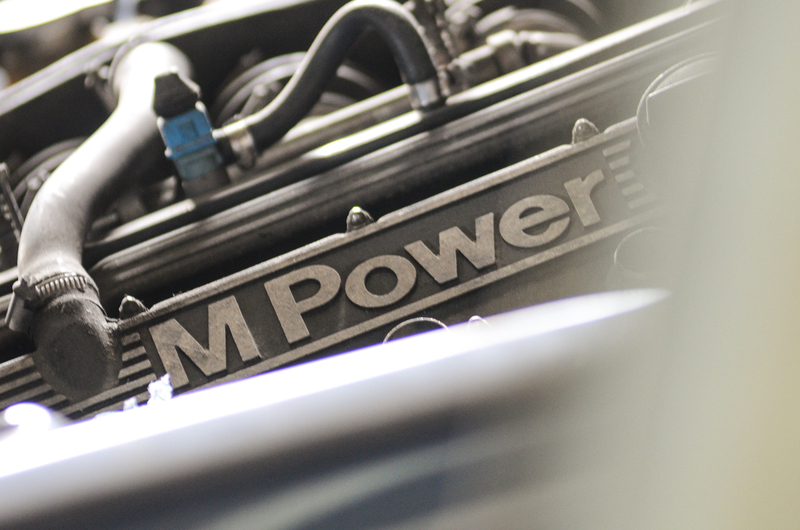 So we have got a BMW M6 E24 here. 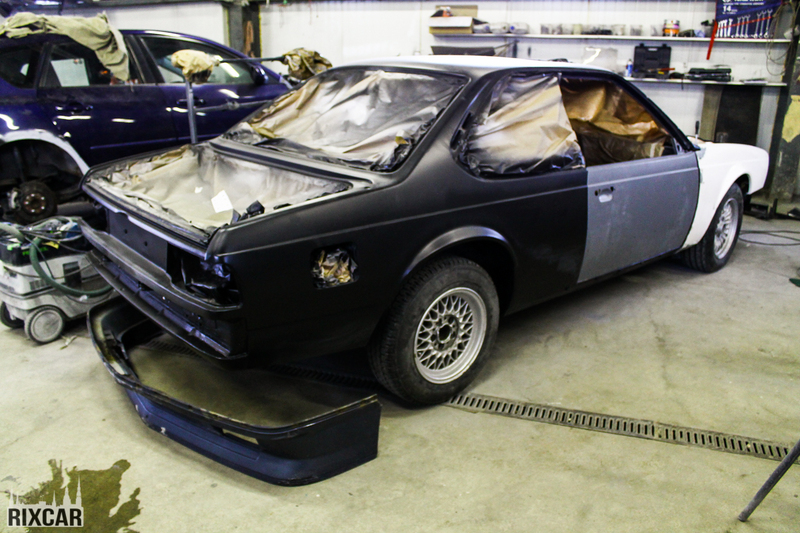 Our aim was to restore the bodywork. 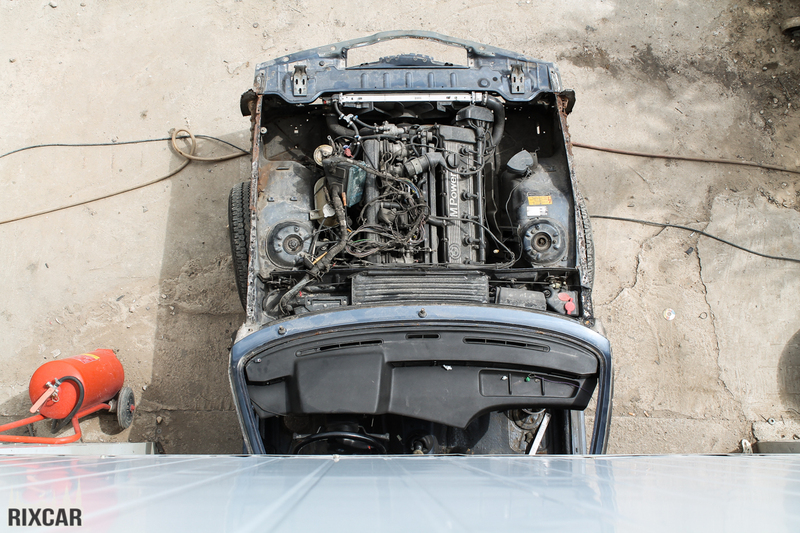 So, when the car arrived, its condition was not very good. 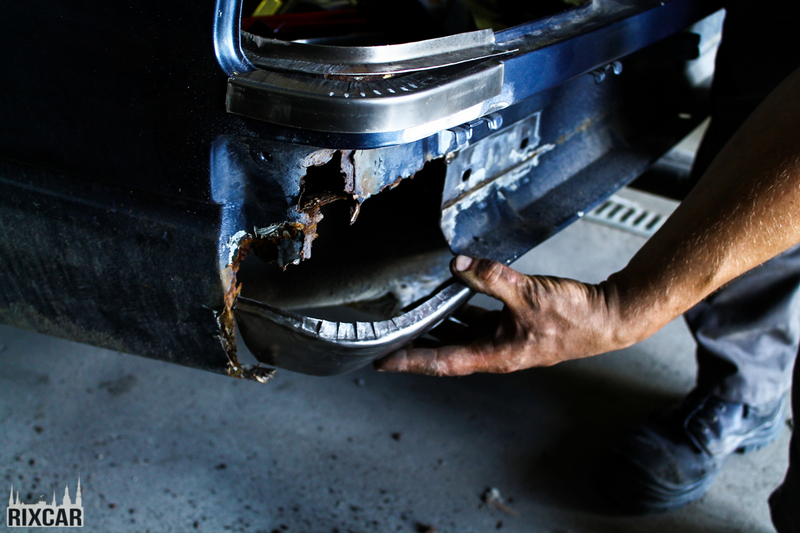 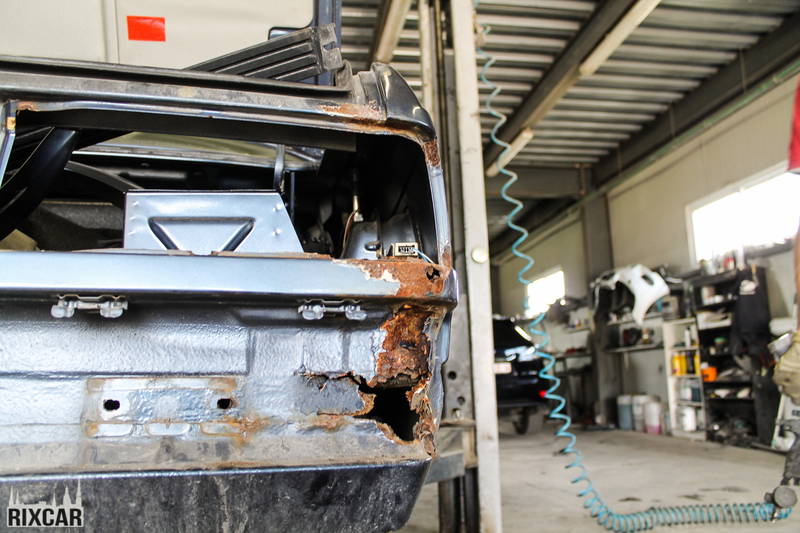 The body was damaged and there were a lot of rust. 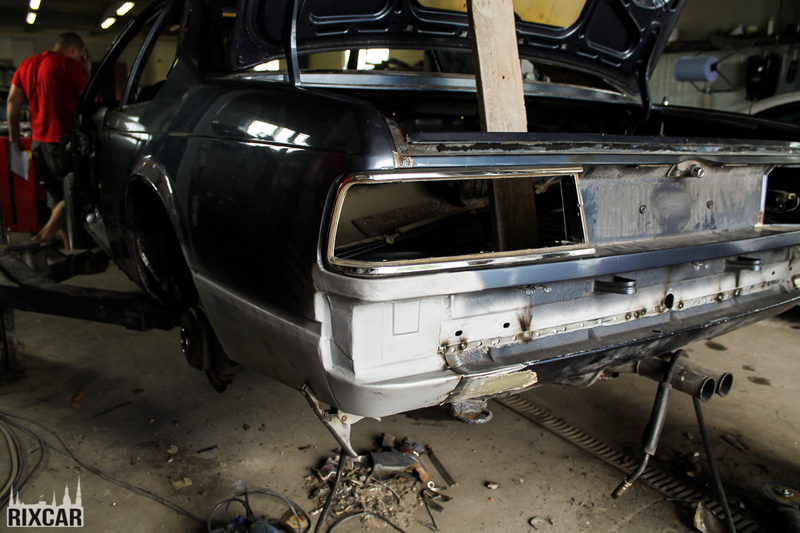 To start the restoration process, we removed all the lights, bumpers, etc. 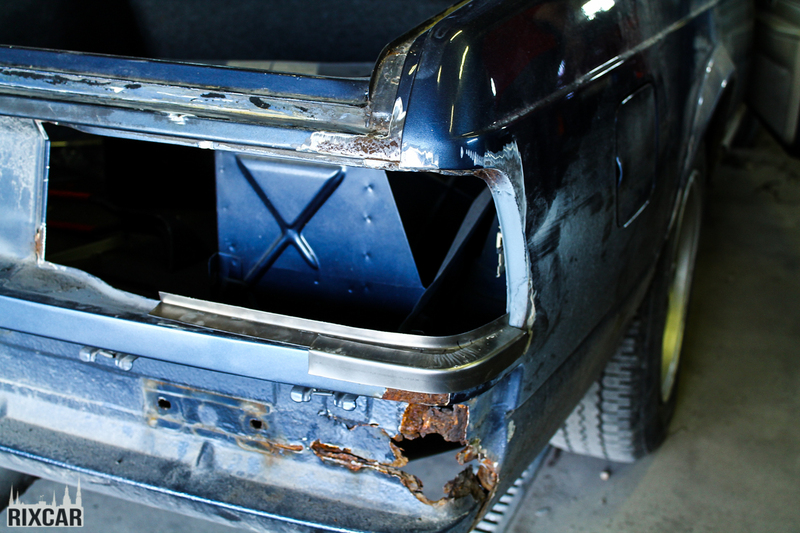 We cut out all the rusted parts and fitted the new ones. 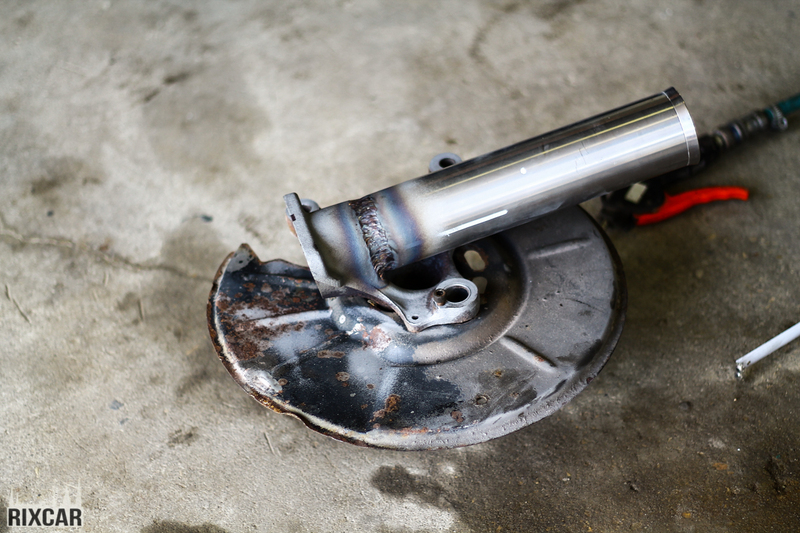 We welded all the places where it was necessary. 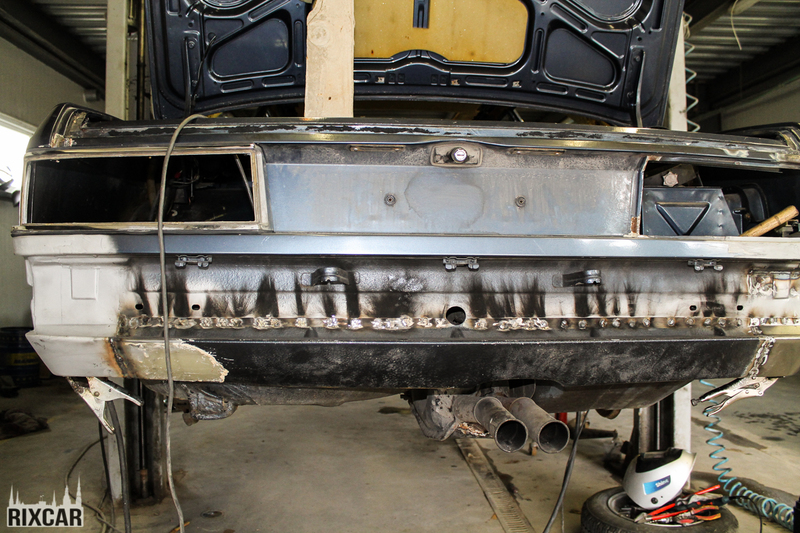 Car's front corners after welding. 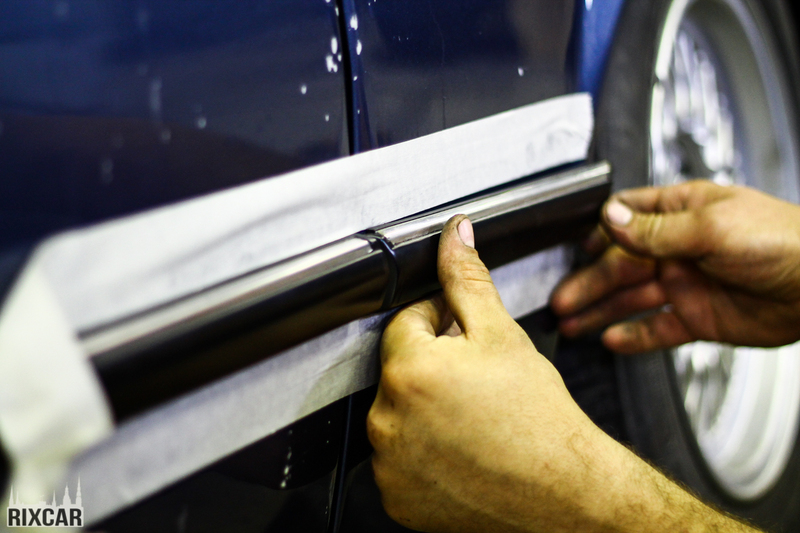 The corner is hand made. 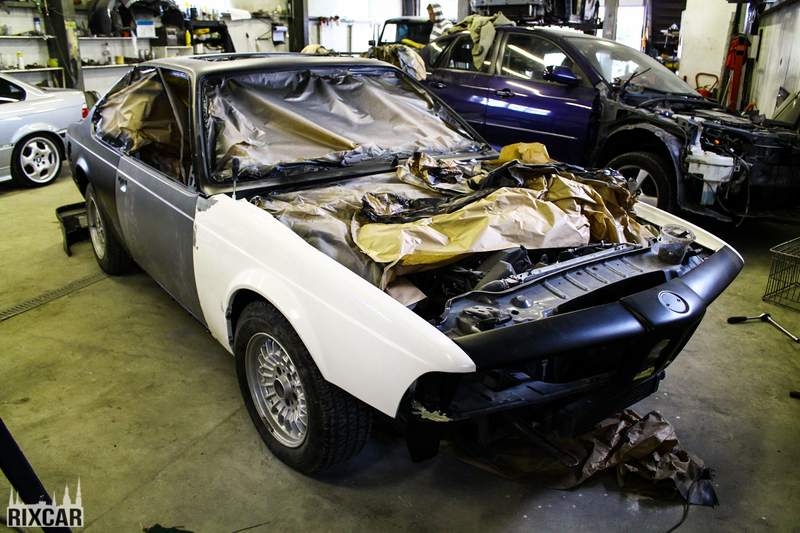 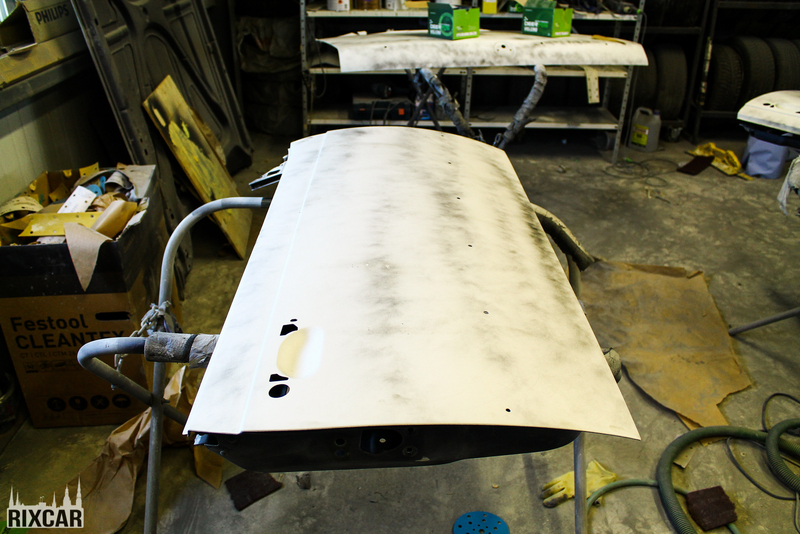 Here we see the body after the primer base coat is applied. 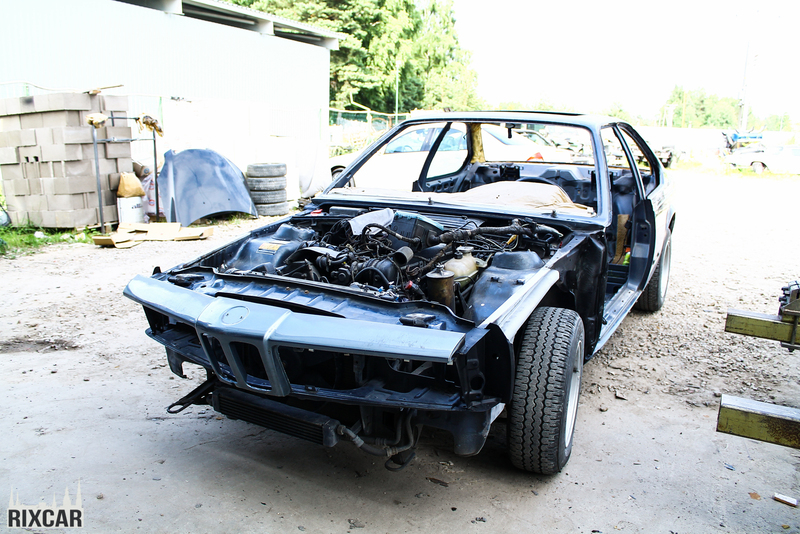 Body panels have been fitted to see if they match. 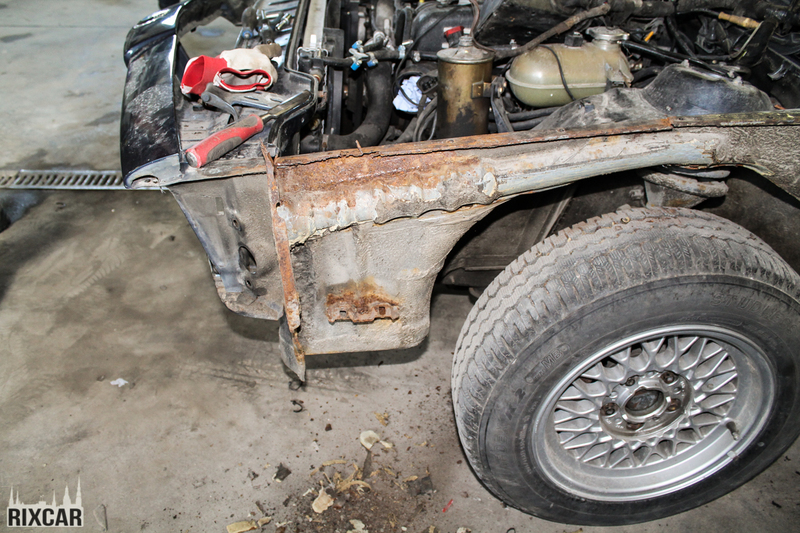 There is a long story about the front fenders. 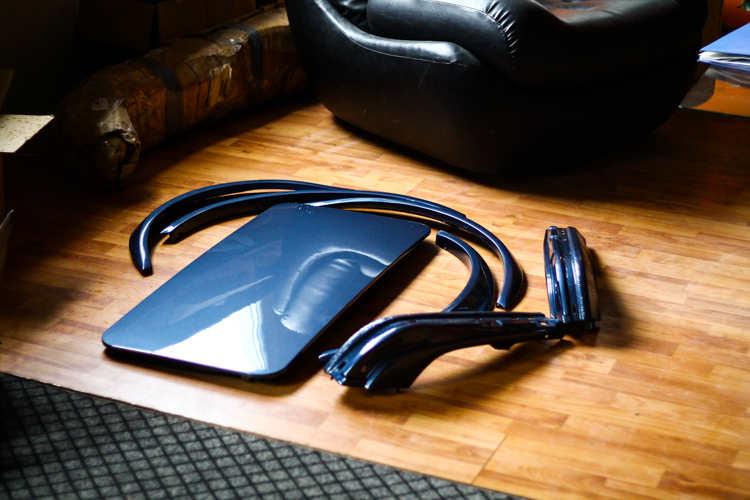 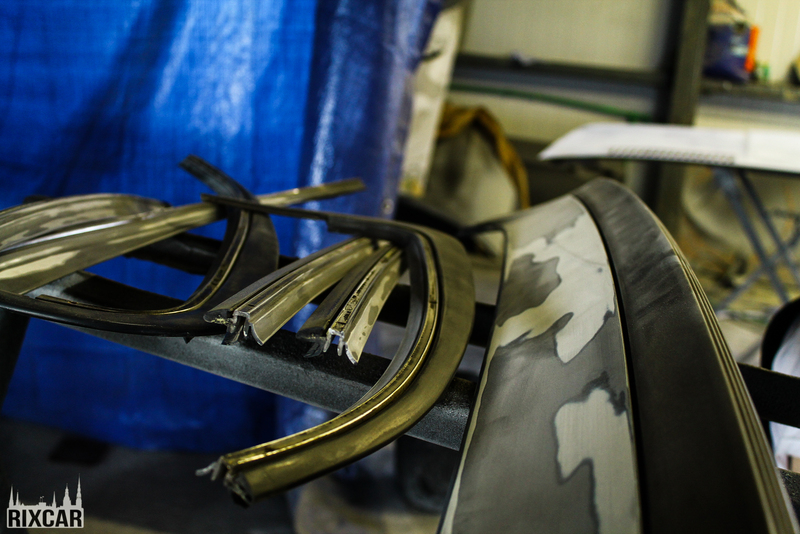 Since it is close to impossible to find new fenders, we managed to get fenders made from fiber glass. 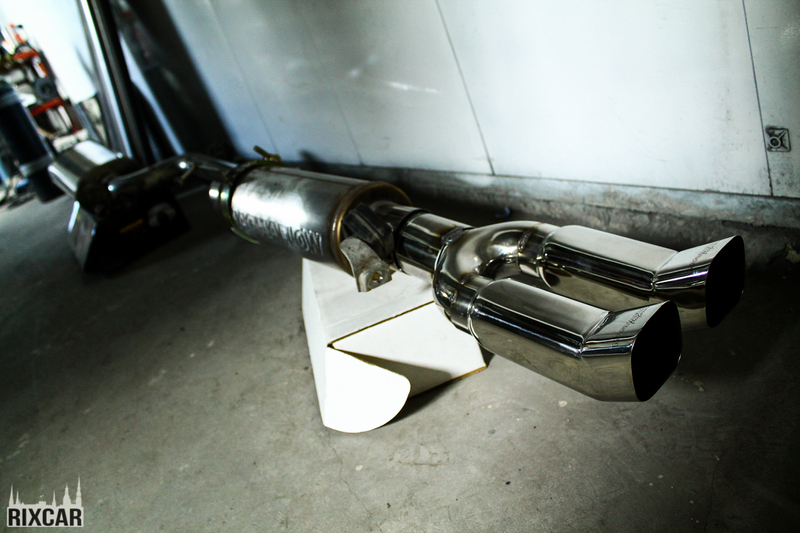 During the time when the car and panels were prepared for painting, we fabricated brand new Magnaflow exhaust system. 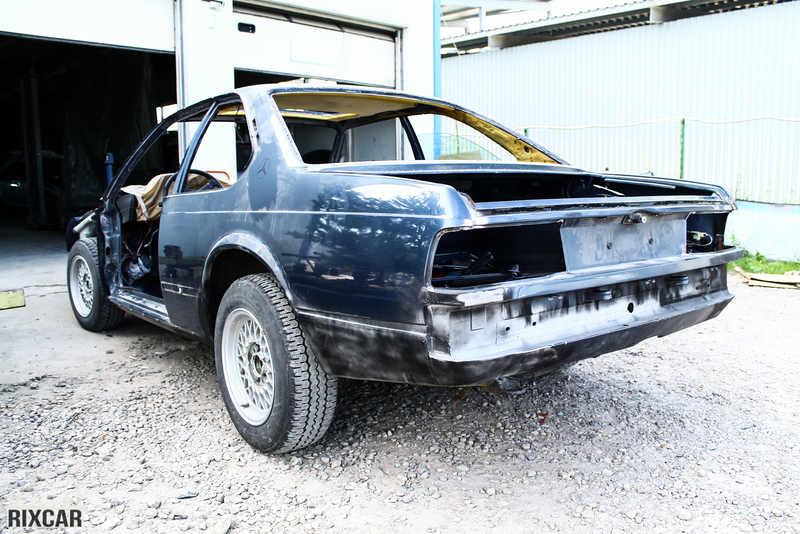 The car after painting process. 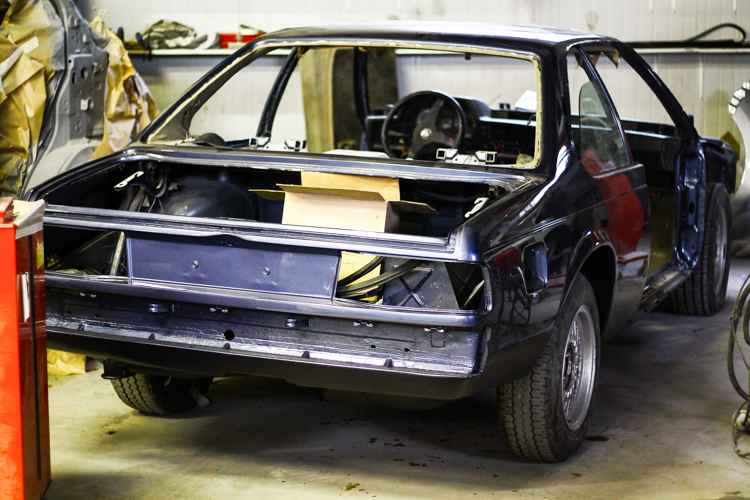 After that we started to put the parts together: interior, overfenders, bumpers, body panels and many other parts. 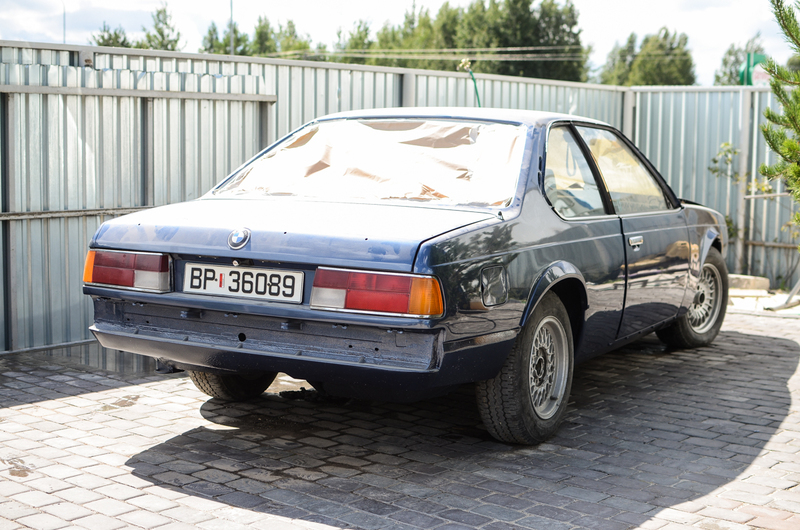 Then we drove the car outside to wash off all the dust. 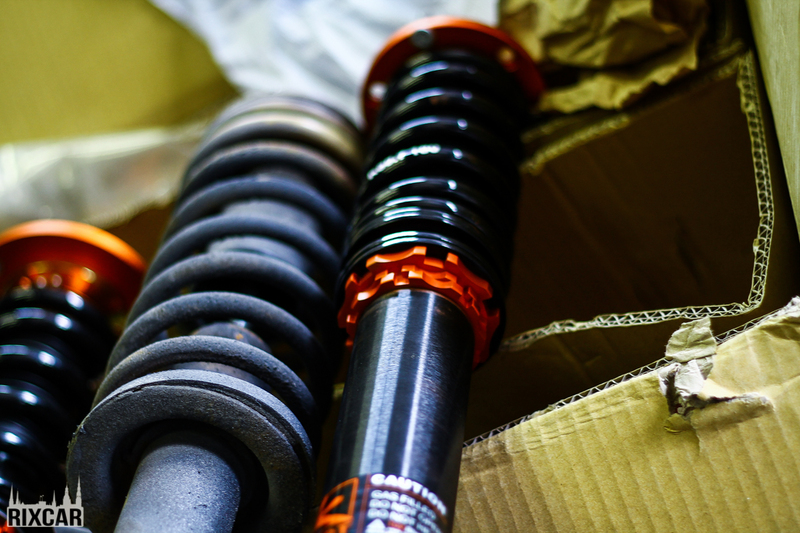 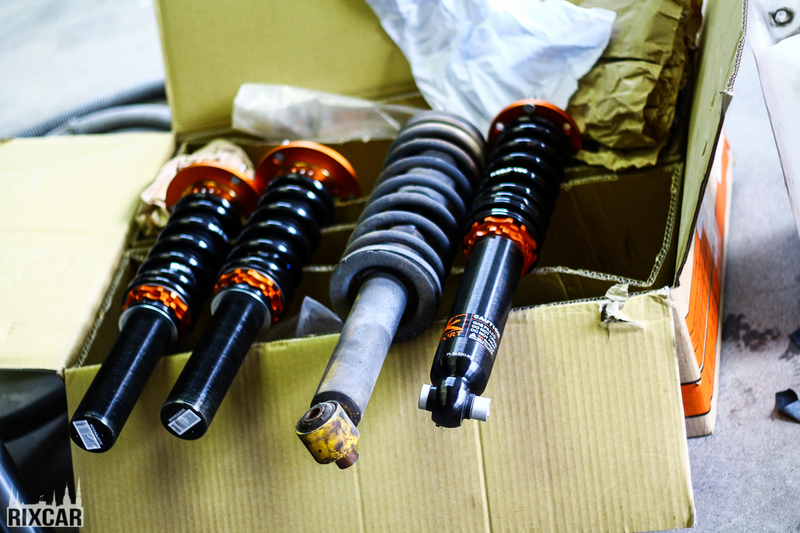 After a short while the coilovers arrived, special thanks to ADparts.eu. 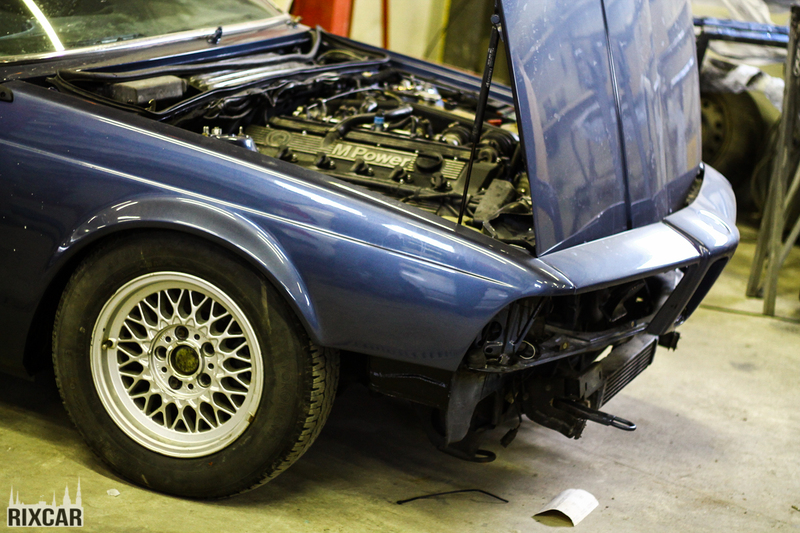 Then the windows were put back and we started fitting the coilovers. 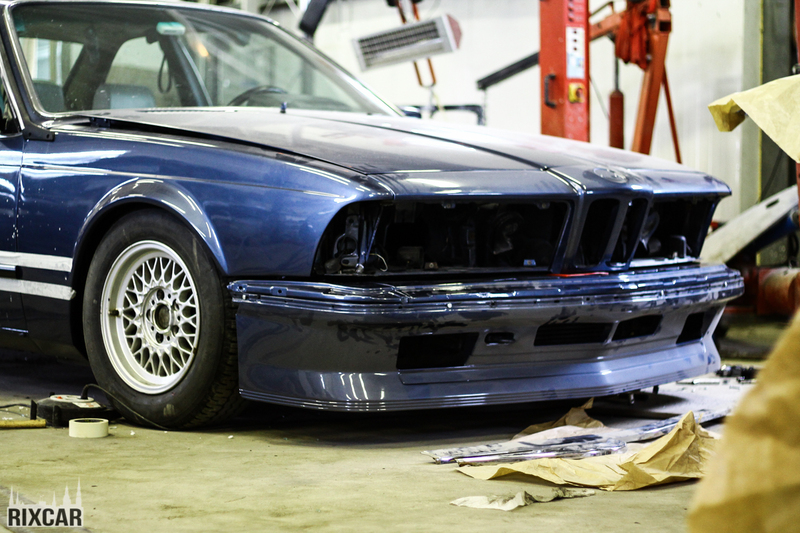 To put back the coilovers, steering knuckles had to be modified. 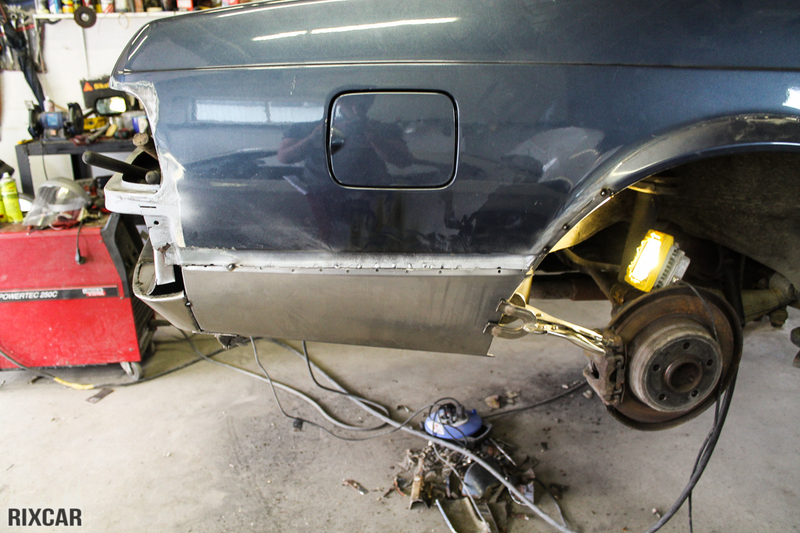 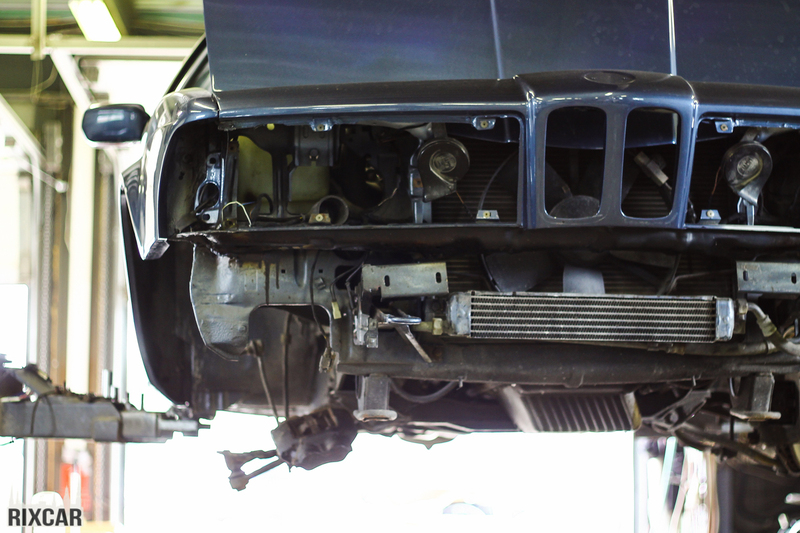 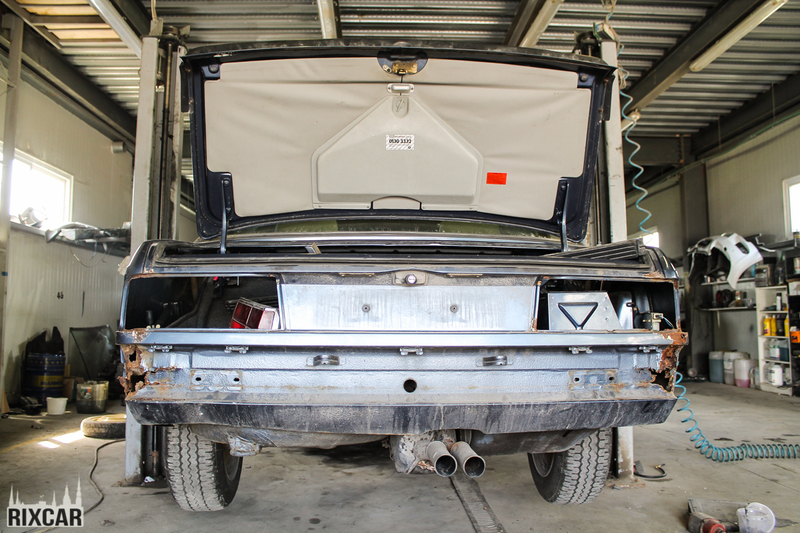 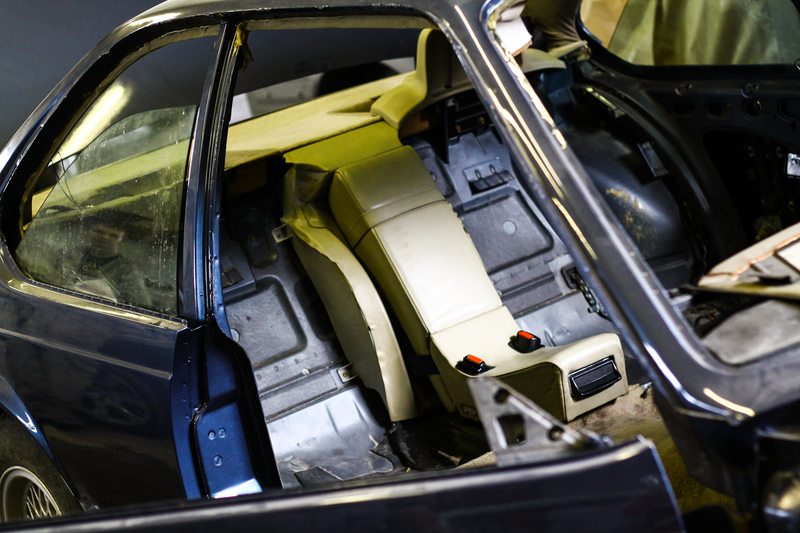 The back of the car will be lowered more and the comfort springs will be removed. 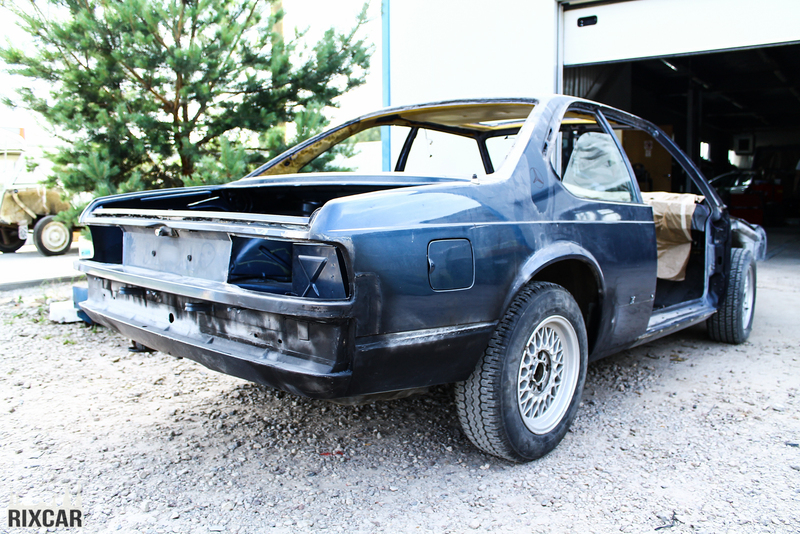 Moldings and bumpers were fitted. 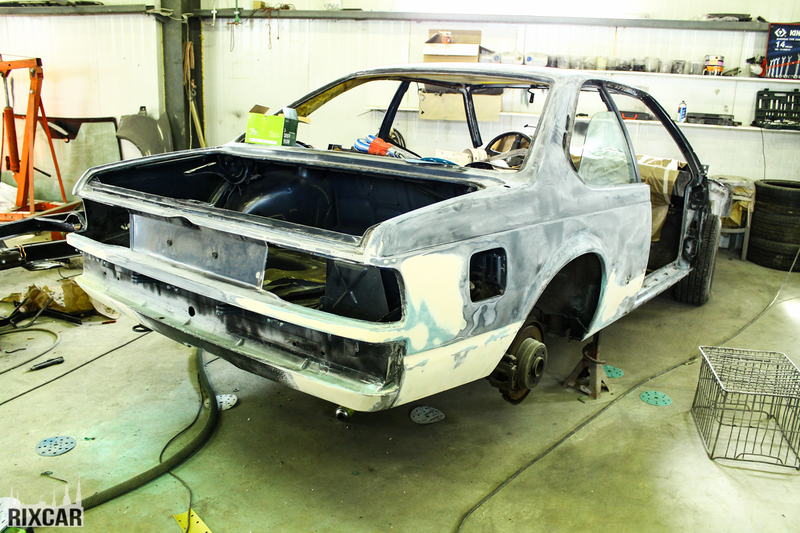 The car is getting back it’s original look. 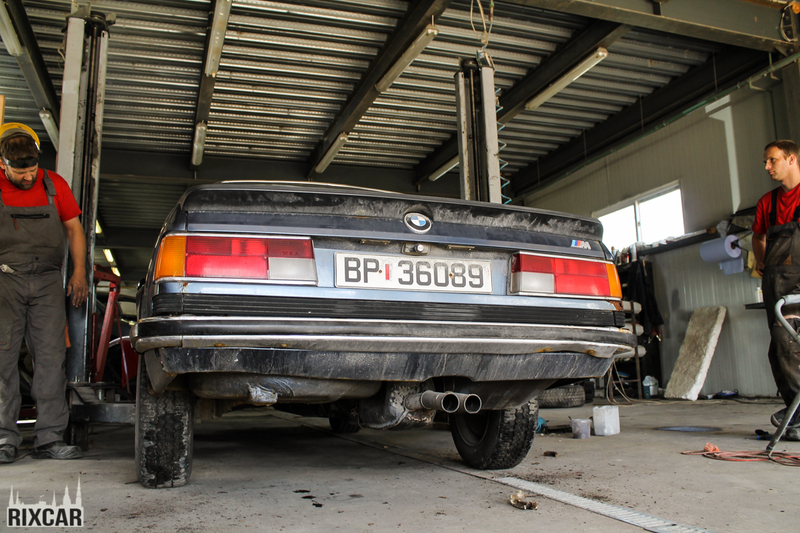 The rear bumper still needs to be adjusted. 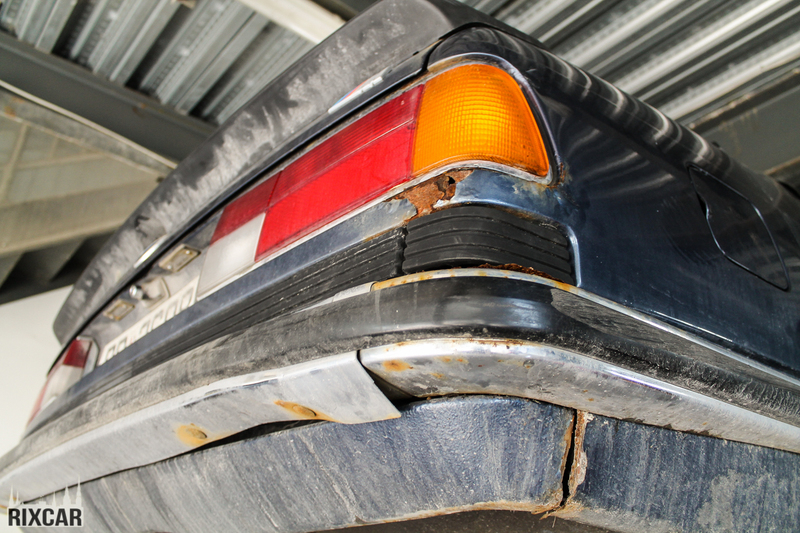 Lights and the whole car are not yet polished. 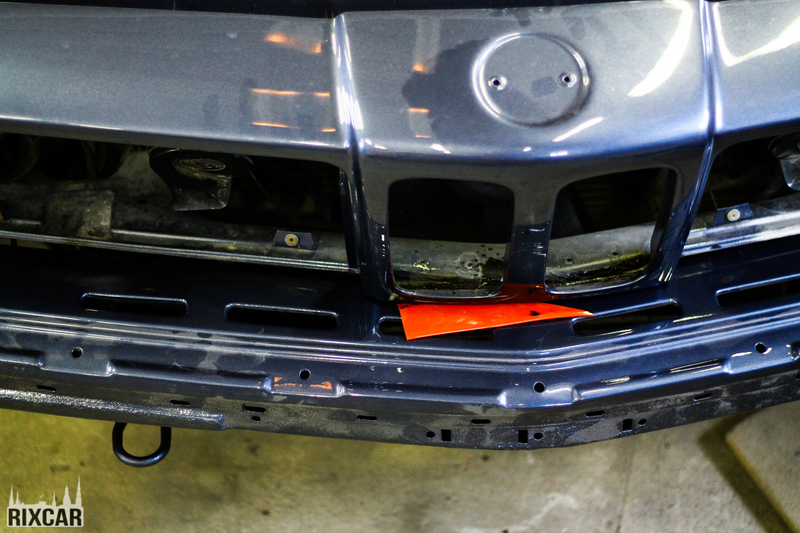 The front chrome molding and fog lights will be fitted by the car owner himself. 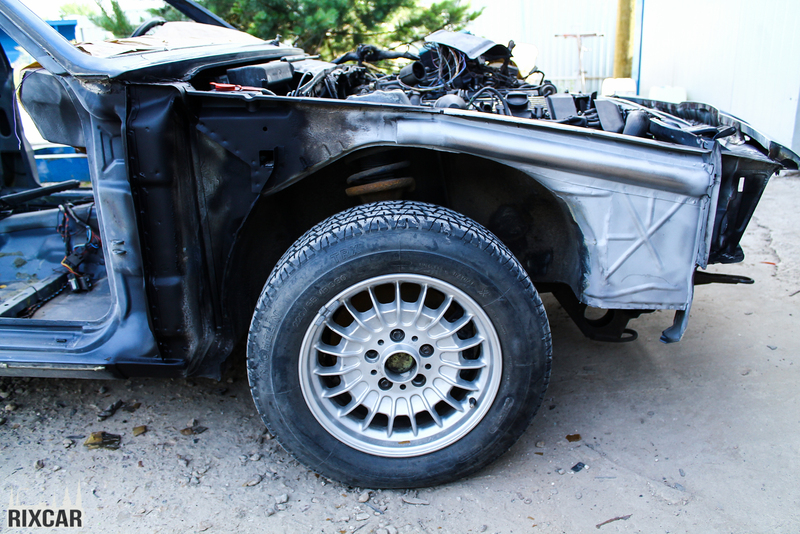 In these photos you can see the BBS RK 8,5j et15 wheels. 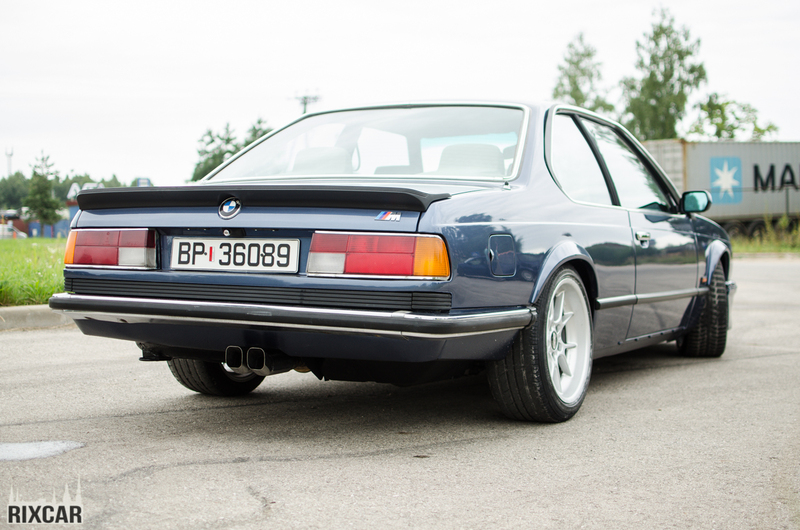 The car is traveling back to Norway. 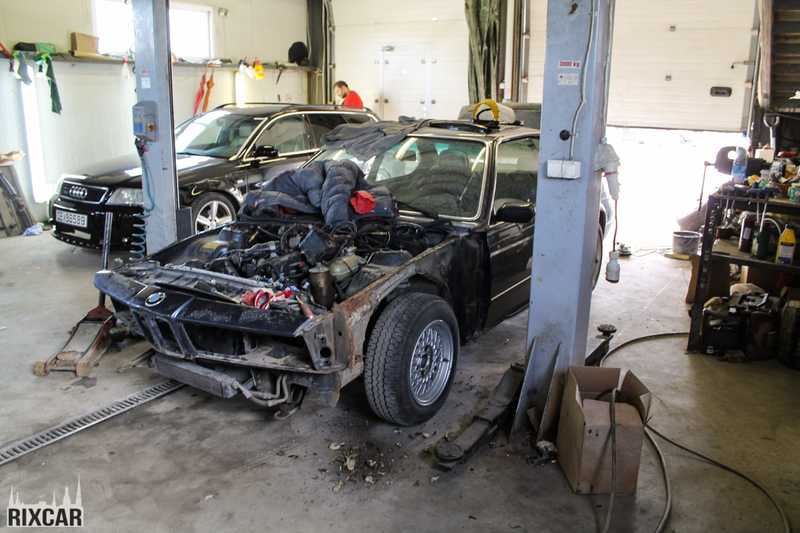 The car has been returned to the owner, this project is finished. 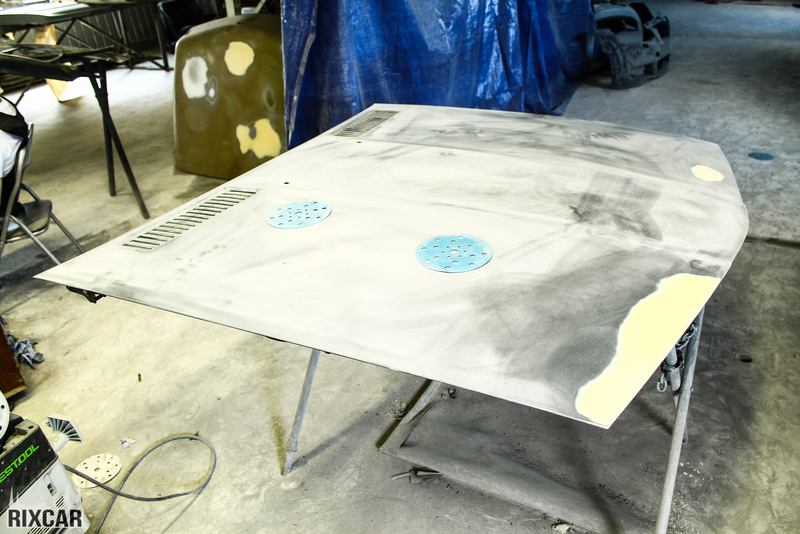 We hope that it was interesting to read and to see the pictures from the process.